Click on the links above to find more about our animal residents. If you would like to meet them in person, we invite you to take a sanctuary tour. There are more than 100 animals who call MFS home. Some of them were part of the farm that was previously run by MFS co-founders Jim and Cheri before they transformed the property into a sanctuary. We are honored to be able to give these animals the lives of peace and comfort they deserve. The other animals were rescued in the 20+ years that the sanctuary has been in existence. Many come from situations of abuse, neglect, and abandonment. Thanks to the wonderful MFS community, including our generous supporters and volunteers, we are able to give these animals nutritious food, a safe home, loving care, and second chances. 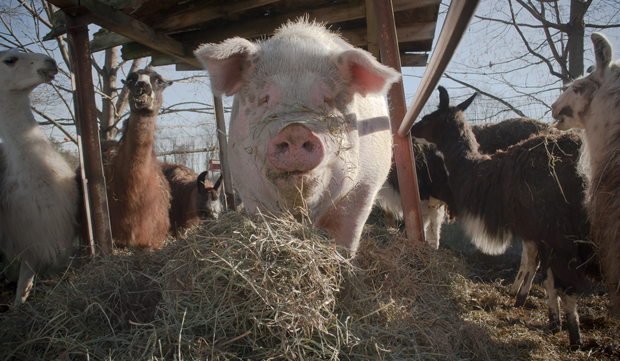 All of our animals also serve as ambassadors for the billions of farm animals who are still being exploited. It is our hope that their stories will touch lives and change hearts just as they did for Cheri and Jim.